Spanish group Inditex, the world’s second largest fashion retailer after US rival Gap, has just announced having acquired a store of 3,600 m² in the heart of Manhattan for its flagship brand Zara. 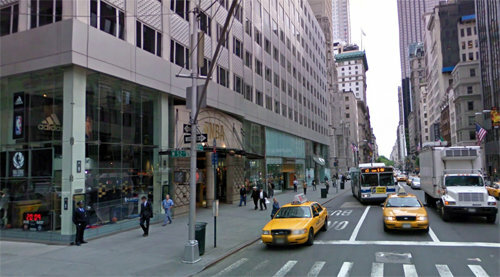 Located at 666 Fifth Avenue, only 6 blocks away from Central Park, the property was formerly home to NBA’s store. Inditex had to spend 324 million dollars to obtain the new address. A record one-off transaction that exceeded the 300 million dollars paid out last year by Uniqlo, one of the companies owned by Japanese group Fast Retailing, in order to acquire a store in this same Fifth Avenue building. world, close to the Rockefeller Center, the Museum of Modern Art, and St.
Operating more than 5,000 stores since last December, Inditex reported sales figures of 8.86 million euros for the first 9 months of 2010, showing a rise of 14%. The Spanish group has declared that expansion will be one of its priorities for fiscal year 2011.